What we do in life will echo for eternity. Recovering after completing the epic quest to become one with the universe, our founder had a drunken epiphany that would end in, what witnesses describe, as the reverie of an aging hero. In truth, however, alcohol played only a small part in his final, delirious acts -- the many years he spent as a young man, honing his skills in the oxygen-thin mountains near Tradesburg had finally caught up with him. Later inquiries into his life revealed that he suffered heavily from the belief that life in Godville was nothing more than a game. As such, he was haunted by feverish thoughts of sobriety and questing for golden bricks. His dreams eventually became so lucid that he was unable to tell the difference between reality and dream; his fragile mind had broke under the weight of knowing that he had been abandoned. His mental health did not improve as he saw the many heroes and heroines going to and from temples, laughing about their latest death. As his mind continued to spiral in its madness, he found serenity in the many taverns across Godville, where he noticed -- with disdain -- the growing number of these immortals. His attempts at openly trying to give them a permanent death had garnerned unwanted attention from the supreme beings of Godville, however, forcing him to disguise his intentions in some other manner. After being mauled by a wandering Sun Dog, the aging hero decided to give up trying to crash reality and establish a front for his hunt. Upon returning to Godville, he inquired on what it would take to establish a guild of his own. So, on that fateful day, some time ago in a past autumn, the quest to establish the Highlander guild began. It is unknown exactly when our founder met his grisly fate, but the scholars of Highlander assume it was shortly after the guild's first member joined in 631 G.E. Many years had passed since then and the guild's original purpose have faded into obscurity. Today, members of Highlander no longer struggle with their presumed immortality, and rather embrace it. Believing that being forgotten is a fate worse than death, their footprints echo through eternity. 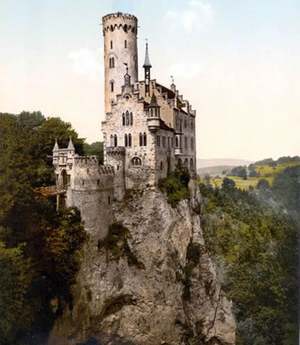 Guild members not questing or engaging in duels at the Arena can be found either training on the Jagged Peaks of Tradesburg, or within the town itself. Keep an eye out for when your hero(ine) visits a town to heal or sell loot -- this is an opportunity to increase Highlander's influence by using at least one influence, preferably an encouraging one. Using the voice command return to town, or simply return will have a questing hero(ine) head back to town ... if they listen. Using your influence while selling loot can, potentiality, increase the amount of coins you have. If your hero(ine) has at least half of their maximum item capacity, they will pray at the end of the visit. By voting within the Ideabox, prayer effectiveness is increased. Please vote responsibly and remember: random clicking won't get you anything. For the hero(ines) who happen to have finished a temple, the Miracle influence gives the most points out of all others, but it requires 50 units of Godpower. Want to join Highlander? Well, we want you, too! Even new guild members can participate in the activities of the guild forum. The hero(ine) must be not be engaged in combat, treating their wounds in the field, selling their wares to roadside trader, or in town. Also, the hero(ine) should not cancel their current quest; hero(ine)s returning to town do not listen to their deities. Now, if the hero(ine) meets all of the criteria above, send this voice command to your hero(ine): Join "Highlander" guild. It may still take several attempts before your champion will acknowledge you. Once the hero(ine) begins their quest to become the newest member of Highlander, introduce yourself in the forum. If, in the future, your hero(ine) tries to leave the guild, send this voice command: Cancel quest. This can be done at any time during the quest to join the other guild. We won't stop you if you want to join another guild by choice, however, so please inform us if you decide to do so in the Guild Council (GC). Within the heirarchy of Highlander, there is an understanding that official rankings do not matter. What deeds have brought them together, also place them within Highlander's memories. These are the members who have been active within the counsel, or who have provided some other services to the Guild. Attention all members of Highlander: as of this update, there are newly opened positions that are available for ... well. Anyone. Contact The Dark 0ne for more information. Any member who is not active for 30 days (or more) will be removed from the Inner Circle, and placed within the Honor Guard. Born in San Satanos, this mysterious and grotesque minion has left the Great Lava Desert of Trough to spread the word of his Lord The Dark 0ne . His first companion of note was Tigger, the Double Dragon. The troublesome Double Dragon fought alongside honorably, but was ultimately defeated, healed, and released into cozy retirement. Born in Tradesburg to a family of wealthy merchants, Adelyne is no stranger when it comes to trading, and discovering secrets. Under the care of the Goddess Aleyea , she is now Highlander's information broker, and more. Adelyne commands the Double dragon Nibbler. Esteemed elder and former legendary leader of the Highlander Guild under the guidance of his God, Kirbosa , and accompanied by his Battlesheep Toto. At a young age Sterling became separated from his family while on vacation in Lostway. He survived the cruelty of life with the help of his Goddess Lady GreyDana . With his trusty Philosoraptor, Cupil, by his side he is on an endless quest to defend the weak and support all the taverns throughout the land. Given life by the god Sanrilas . Accompanied by Chewy, the Lightsaber-toothed tiger. 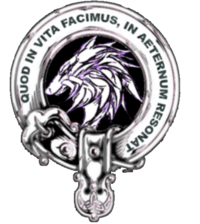 Those who have proven themselves, either through conduct within the counsel, contributions to the guild... or merely active members of the community that continue to keep Highlander alive. If a member of Highlander sees their name on this list, they may contact The Dark 0ne either in the counsel chat, our forum, or through messaging to add further details. When our founder met his tragic end, his beloved pet was left behind. Rather than wander back into the wild, Olwyn made her way back to Jagged Peaks and to the mansion her master once called home. Now, this majestic double dragon can be seen flying the champions of Highlander to the Arena, chewing on random artifacts left behind from the last counsel meeting, or chasing some hapless hero(ine) away from the guild halls. Note: If members of Highlander wish to add other NPCs to our mansion space, let me know. It is unknown whether this wandering soul still is on Godville or not. Only time will tell. Gathering golden bricks can be an extremely time-consuming process. Even by completing quests, you're not always guaranteed to receive one; some quests are scams and others give other rewards, such as just gold and equipment. Fear not, young godlings! Highlander has put together its best sages and is willing to share its secrets with you. Some artifacts, when activated, can melt 3,000 coins into a golden brick. Even rarer are those than can convert bold artifacts into the same. To make the most of these artifacts, use them just prior to entering town as your inventory should be fuller than when you first acquire it. Remember, these artifacts all cost 50% of your current god power to use. On days in which the Godville Times informs us that monsters may respawn, keep an eye out! Upon killing a monster, you may encounter an undead version soon after (read: next fight). Upon defeating these undead creatures, there is a small chance you will come across an item known as the Golden Pumpkin. Use it immediately upon acquiring; it requires no god power at all and is 90% guaranteed to change into a golden brick. For our more vengeful gods (and also for everyone else), using a divine influence in the field (encouragement or punish) can sometimes produce a golden brick if your current gold total is above 3,000. After some observation, it appears to happen at a frequent rate whenever a temple-less hero(ine) receives the blessing or wrath of their divine entity. Use the voice command dig if your hero(ine) is healthy. If the hero(ine) listens, there is a small chance they may dig up a golden brick but a greater possibility that they may discover a Boss Monster's lair. It is good practice to, immediately upon discovering its lair, let your friends and guild mates know that your waiting to be matched for a Boss fight. @Mole Extracting Shovel, and artifacts like it, guarantees the discovery of a boss if matched with more than one other hero. Letting your guild know that your about to fight a boss may result in one (or more) member joining you, if any of them are able to. Boss fights, upon completion, offer a large amount of gold and sometimes ... more than one gold brick. Just sending your hero(ine) to the arena can sometimes yield a golden brick being found upon arrival. Winning not only gives our guild an increase in the pantheon of duelery, it also gives one extra accumulator charge and 100% god power. Pay attention to the rules at the beginning of each bout. Influences will backfire. This seems to be roughly 1 in 5, so try to keep this in mind. Keep in mind that using one influence (a punish or encourage) gives one action to your opponent. Voice Commands do not count towards this action limit and be used to turn the tide in a locked battle. Never enter the Arena with less than 3 charges and 50% god power. For those of us with temples, do not, under any circumstance, use miracles. It's simply bad form and a sign of poor sportsmanship. Sometimes, your hero(ine) may mishear this voice command and deliver an extra attack. Never use a combination of two categories and try to be creative with how you use your commands. It makes the Arena more interesting when Gods actually act like Gods, rather than mundane humans. It is possible to use both a Voice Command and an Influence in the same round. "Heal" + Punish or "Smite" + Encourage. Blocking works so long as it is your turn to receive damage of some kind.